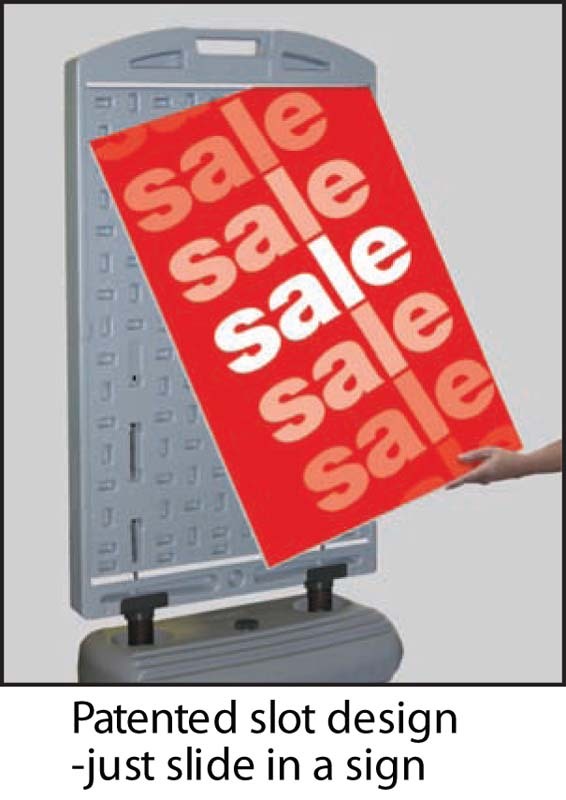 This lightweight portable plastic curb frame is a great way to advertise your promotional message or price sign. 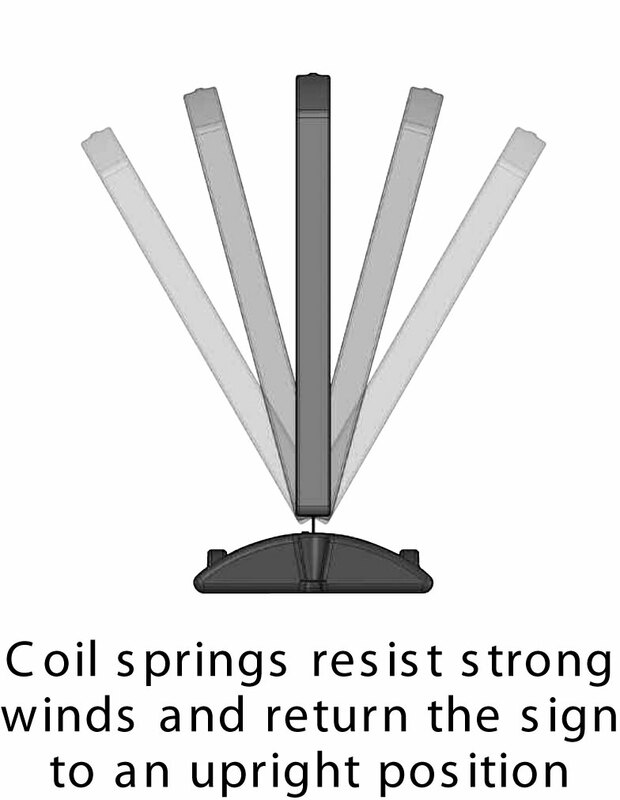 *Comes with a spring loaded base that bends in the wind and returns upright. 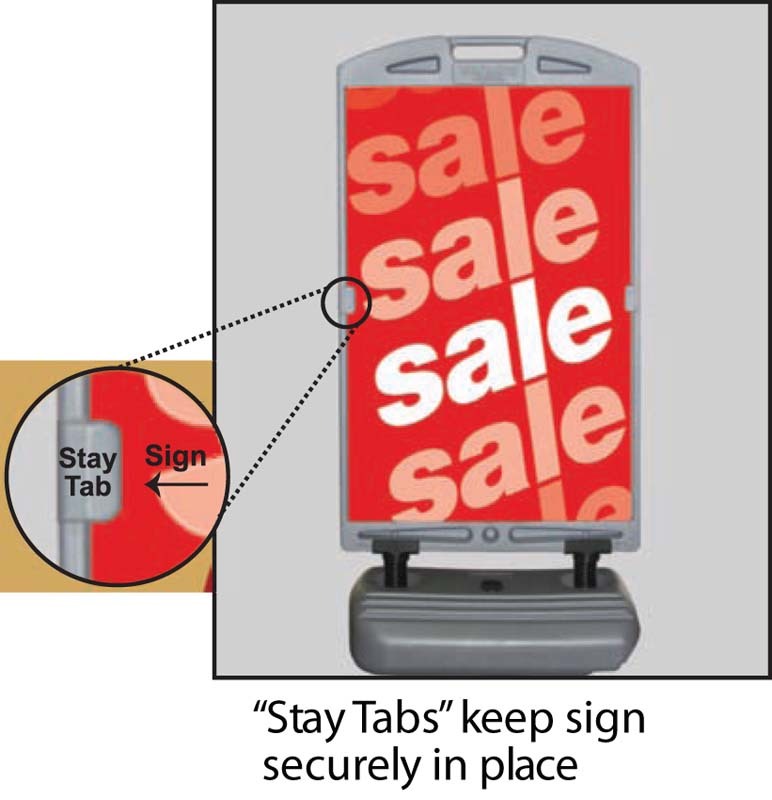 *Sign has a slide-in feature to quickly change interchangeable panels. Panels are also held by steels clips on two sides. *Changing panels takes only a matter of seconds. *Two-sided (holds two signs per frame). 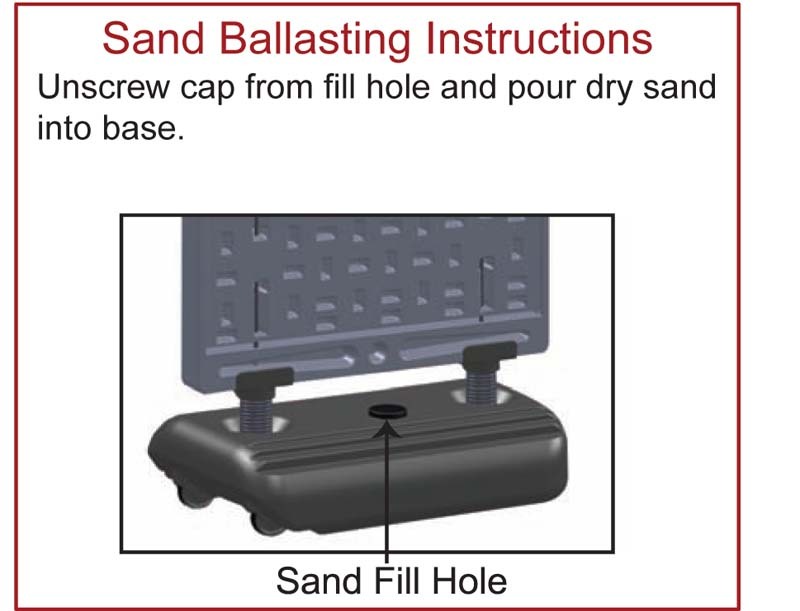 Can accommodate coroplast, aluminum, styrene, acrylic, or any foamboard. 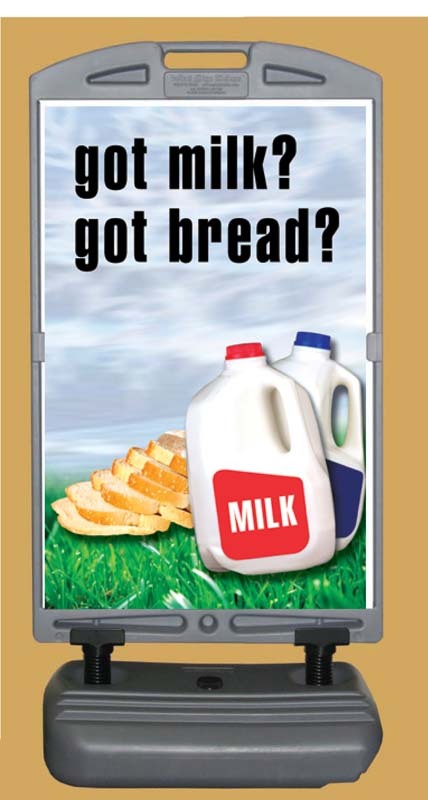 *Insert Size: 24"w x 36"h.
*See Coroplast Advertisement Panels (CAS-#) for all Panels that fit this frame.